What is fake news? How have misinformation campaigns on social media and elsewhere shaped our politics? How has the term been framed by all segments of the political spectrum since the 2016 campaign? 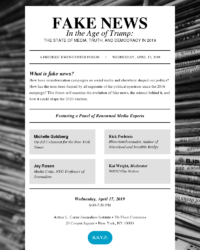 This forum will examine the evolution of fake news, the science behind it, and how it could shape the 2020 election. 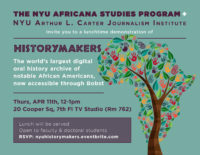 The NYU Africana Studies Program & the NYU Arthur L. Carter Journalism Institute present the world's largest digital oral history archive of notable African Americans, now accessible through Bobst. Join NYU Journalism alumni for a "speed mentoring" event. There will be food! Open to declared journalism majors only. 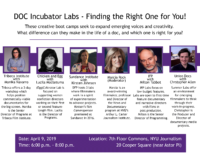 DOC Incubator Labs: Finding the Right One for You! These creative boot camps seek to expand emerging voices and creativity. 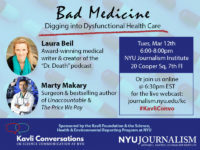 What difference can they make in the life of a doc, and which one is right for you? 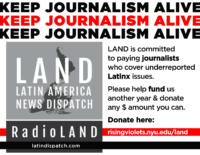 Latin America News Dispatch (LAND) is committed to paying journalists who cover underreported Latinx issues. Why do we pay our journalists? Because we believe it's the right thing to do. Please help fund us another year and donate any amount you can. Accepting donations from March 10 through April 8, 2019. 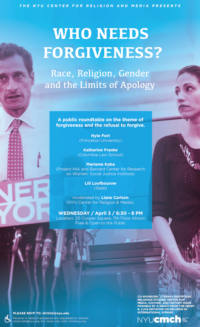 A public roundtable on the theme of forgiveness and the refusal to forgive. Panelists include Nyle Fort (Princeton University), Katherine Franke (Columbia Law School), Mariame Kaba (Project NIA & Barnard Center for Research on Women, Social Justice Institute) and Lili Loofbourow (Slate). 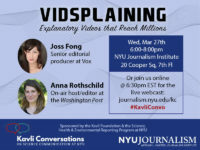 Moderated by Liane Carlson (NYU Center for Religion & Media). 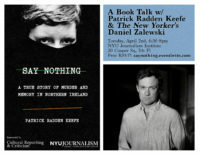 Join us for an intriguing conversation with Patrick Radden Keefe, author of Say Nothing: A True Story of Murder and Memory in Northern Ireland, and The New Yorker's Daniel Zalewski. 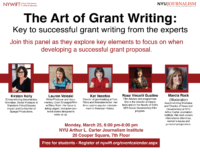 Join this panel as they explore key elements to focus on when developing a successful grant proposal. Panelists include Kirsten Kelly, Lauren Veloski, Kat Vecchio, Rose Vincelli Gustine, and Marcia Rock (moderator). A roundtable discussion about LGBTQ+ legacies of Stonewall in their local and global impact beyond the U.S. Bringing together activists and academics who have worked on sexual and gender rights issues in the Middle East, East Asia, and the global south, this roundtable will discuss the contemporary landscape of LGBTQ+ rights alongside and against the U.S. experiences, and the challenges that lie ahead. 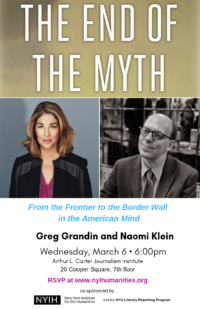 Join Greg Grandin & Naomi Klein for an insightful conversation. Books will be available for purchase. 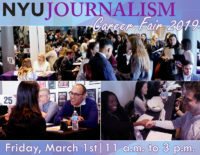 Join NYU Journalism faculty, staff, current students and alumni to learn more about the undergraduate journalism program. Please join us on Tuesday, March 5th for a special event limited to students of the Arthur L. Carter Journalism Institute. 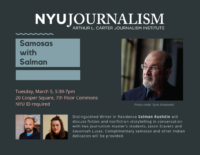 Salman Rushdie, one of our distinguished writers in residence, will take part in an informal Q&A led by graduate students Savannah Lucas and Jason Stavers (both LitRep '20). And we'll serve complimentary Indian food from one of Sir Rushdie's favorite local joints.